Add Bobbi Brown to your favourites! Bobbi Brown believes that the secret to beauty is simple - be who you are. Bobbi Brown Cosmetics offer an impressive array of products, including makeup, skincare, brushes, accessories, fragrances, and books – all inspired by Bobbi’s belief of bringing out the best in each woman. The top ten signature Bobbi Brown products include Hydrating Face Cream, Creamy Concealer Kit, Skin Foundatin, Long Wear Gel Eyeliner, Smokey Eye Mascara, Bronzing Powder, Pot Rouge for Lips and Cheeks, High Shimmer Lip Gloss, Lip Colour and Eye Shadow. Follow Bobbi Brown Malaysia on Facebook for the latest updates, promotions and style tips. Join the Bobbi Brown Loyalty Program to enjoy welcome gifts, exciting new products and cash rebates to be redeemed, subject to minimum purchase of certain amount. Makeup Lessons are available on the Bobbi Brown website or drop by your nearest Bobbi Brown counter to enjoy complimentary or redeemable makeup lessons. The company was founded in 1991 when Bobbi Brown debuted her collection of lipsticks at Bergdorf Goodman in New York City. There are currently 12 Bobbi Brown outlets in Malaysia. Organize a Bobbi's Party. 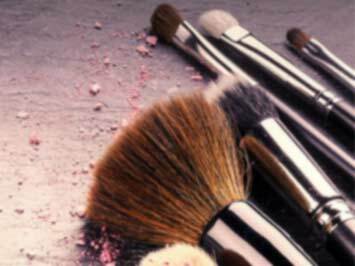 Gather friends together for a group makeup lesson as part of your birthday, bridal party or girl's night out. Available upon request.